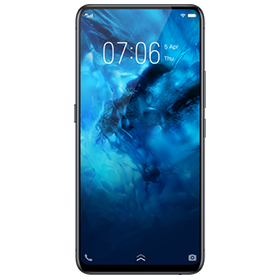 One of South-East Asia’s leading smartphone manufacturers, Vivo offers a range of feature-rich smartphones that have captured the attention of the younger audience. A sleek design, life-like display, feature-packed cameras are what make Vivo mobile phones a popular choice. Bajaj Finserv has partnered with the smartphone brand to offer up to 100% finance on all Vivo mobiles. You can shop for the latest Vivo smartphones on EMIs across any of Bajaj Finserv’s 60,000+ partner stores. Elevating Camera. The Future is NEX. EMI Network is the way to pay for your favorite electronics, appliances, smartphones, furniture, groceries, clothes, accessories and much more and divide the cost of your purchase into easy monthly installments (EMIs). What products can I buy under the EMI Network? You can shop for 1 million products under EMI Network. The categories include electronics, large and small appliances, gadgets, clothes, accessories, eyewear, footwear, watches, international and domestic flight tickets, hotel stays, holiday packages, eye-wear, education and even groceries. Visit the store locator section on our website to find out the nearest Bajaj Finserv partner store. Are there any offers and discounts provided under the EMI Network? Yes, there are 1000+ offers available on the various products under EMI Network. You can view these offers on our website, the Bajaj Finserv Wallet app or visit our partner stores and ask the in-store representative for these offers. The offers will also be communicated to you via our promotional e-mails or SMS from time to time. How do I shop on EMI Network? Shopping on EMI network is simple and you have an option to shop either by using an EMI card or without an EMI card. Do I need to submit any documents to shop on EMI Network? Will I be charged an interest on the loan availed by me? The products on EMI Network can be bought on easy EMIs without any extra cost. The manufacturers bear an annualized rate of interest which is based on risk gradation, cost of funds, margin, and risk premium. Hence shopping on EMI Network is better than using your credit or debit card. Will I be charged a processing fee on the loan availed by me? There will be a nominal processing fee for availing the loan and will vary from product to product purchased on the EMI Network. There are no hidden charges whatsoever. What is an EMI Network Card? An EMI Network Card is a payment instrument with a pre-approved loan amount. By swiping the card at any partner store or online websites, you can convert your purchases into easy EMI’s. You can use it to shop for your favorite electronic items and appliances, gadgets, clothes, accessories, eyewear, footwear, watches, groceries, book flight tickets, holiday packages, pay for coaching classes and more. Where can I use this EMI Network Card? You can use this card across any Bajaj Finserv partner outlets to shop for 1 million+ products in more than 1,300+ cities in India. This card is now accepted across 60,000 stores in India. You can view our partner stores online or log into Bajaj Finserv wallets app. What is an EMI Store? You can read more about the EMI Store here. How do I shop on EMI store? Step 1: Login to EMI Store using your ID & password/ OTP/ social media login. Step 2: Select 'Go to shop' then choose a product category. Step 3: Select a product with any of available EMI schemes. Step 4: Add product to cart & select any insurance of your choice then proceed to checkout. Step 5: Enter your shipping address & click 'Generate OTP'. Step 6: Review your order, check 'Loan' & 'Product' details then enter OTP that you have received on your registered mobile number & click submit. Step 7: Agree to terms & conditions then click 'Buy Now'. Step 8: Now you will receive a call from the dealer asking your confirmation to dispatch your order, post which you cannot cancel your order if you choose to confirm. Step 9: Delivery boy will deliver the product at your doorstep. Pay the down payment, & sign invoice. You may ask the delivery boy to open sealed product in front of you to check for the product. Why should I purchase a Vivo smartphone? 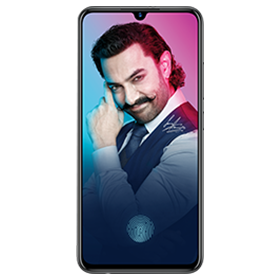 Vivo phones offer impeccable features such as a brilliant selfie camera, a high-performing RAM, and a long-lasting battery life – all under an affordable price tag. What is the price range for a Vivo mobile phone? The Vivo mobile price in India ranges between Rs. 7,000 to Rs. 20,000.